What a bright idea this is! 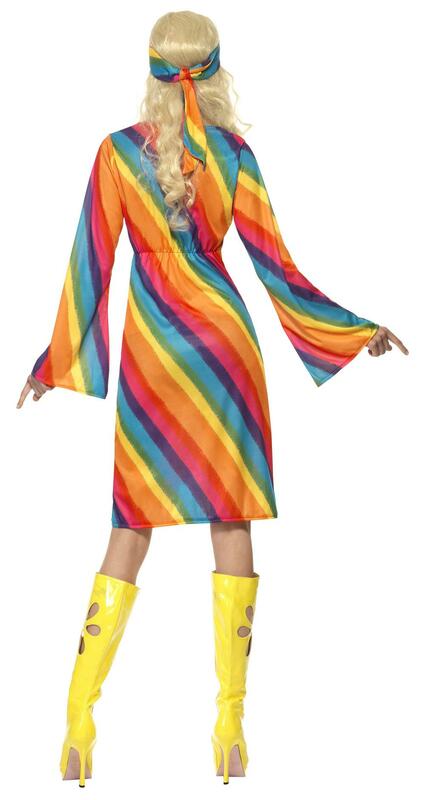 This fabulous rainbow coloured dress is perfect for reliving the weird and wacky 60s-70s era - what better fancy dress item to make you stand out than this? 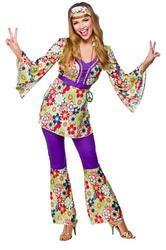 This costume is formed of a stunning long rainbow dress which falls just above the knees, and a matching rainbow headband that adds even more colour to the overall look. 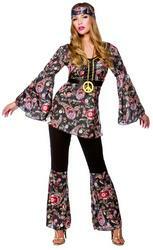 The dress itself features bell sleeves and a brown belt that sits just below the chest. Both dress and headband are patterned with multicoloured diagonal stripes which gives this costume an attractive retro style. 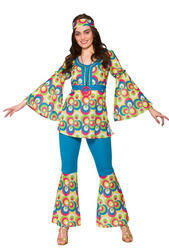 Ladies, there's no better item to purchase than this if you wish to stand out and go that extra mile at any 1960s or 1970s fancy dress party - groovy baby!